The pattern is printed on paper for more durability. 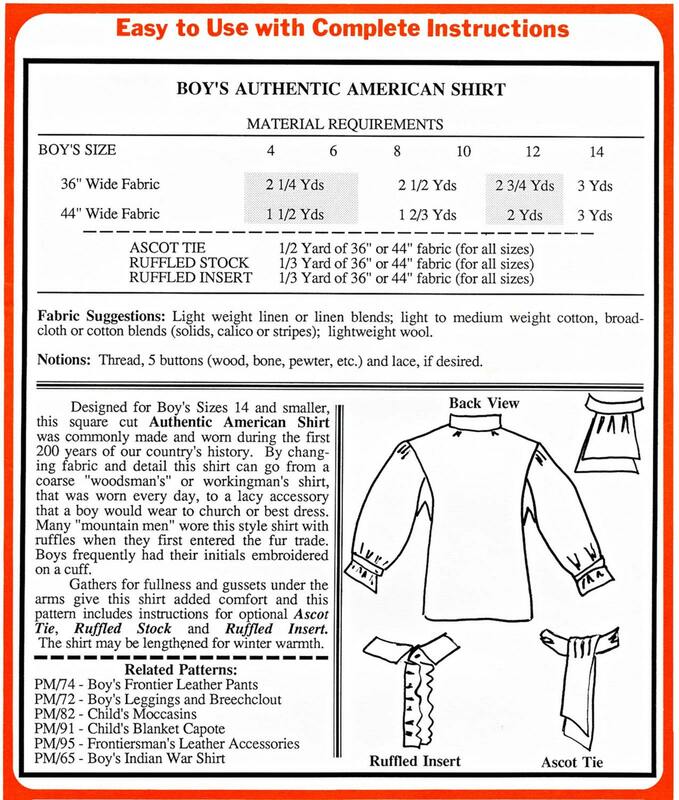 Designed for Boy's Sizes 14 and smaller, this square cut Authentic American Shirt was commonly made and worn during the first 200 years of our country's history. By changing fabric and detail this shirt can go from a coarse "woodsman's" or workingman's shirt, that was worn every day, to a lacy accessory that a boy would wear to church or best dress. Many "mountain men" wore this style shirt with ruffles when they first entered the fur trade. Boys frequently had their initials embroidered on a cuff. 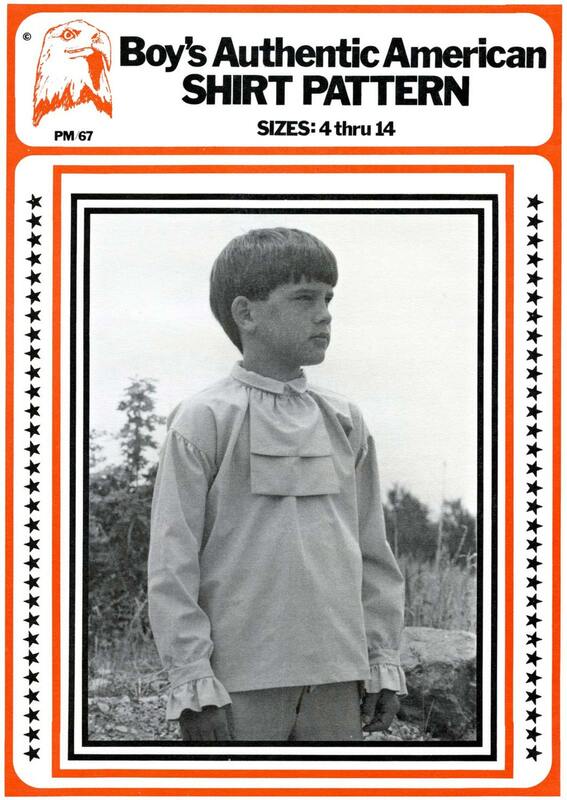 Gathers for fullness and gussets under the arms give this shirt added comfort and this pattern includes instructions for optional Ascot Tie, Ruffled Stock and Ruffled Insert. The shirt may be lengthened for winter warmth.